Sewers remain a powerful site for mixed ideas about the city. They are both signifiers of a truly modern city, efficiently disposing of its wastes, but also places of imaginative horror: the literal as well as metaphorical bowels of the city; everyday yet alien spaces. Their imaginative power is enhanced by their very invisibility. In London, most people travel underground every day on the hundreds of miles of tube; London’s sewers cover thousands of miles and are all but unknown to the city’s populace because their acceptability depends on their invisibility. 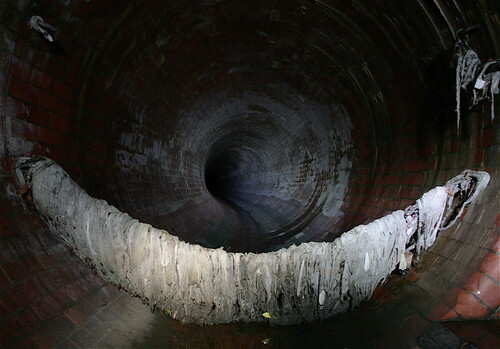 But even if we don’t see them, sewers are perhaps the only type of underground space that connects everyone to each other: in the ceaseless flows in the sewers we can’t escape the fact that excrement has no social distinction. Capturing all of these views in a wonderful moment during one of the sewer journeys described in his book, Hollingshead is told by his guide that he is now walking beneath Buckingham Palace, where he promptly sings the national anthem, whilst up to his knees in what was, presumably, royal excrement. Hollingshead’s intrepid journeys are mirrored today in the practice of draining, an increasingly popular branch of urban exploration. For urban explorers, illicit sites – industrial ruins, abandoned buildings and underground spaces – are the hidden nexus of the city, places where the rules of progress and order are directly challenged. 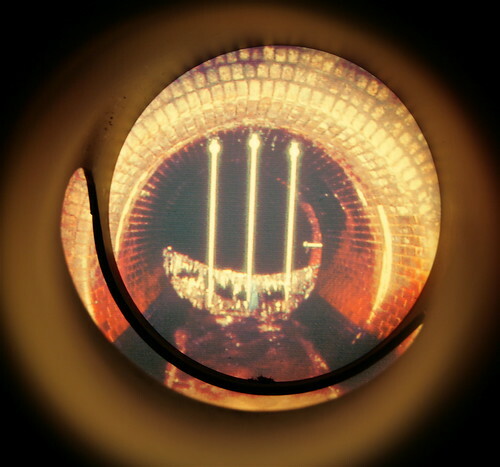 Visiting sewers presents an opportunity to discover a secret world under the city, one that might challenge existing certainties and provide liberating alternatives. Usually under the cover of night, sewer explorers descend into these spaces and explore them at will. This usually involves a degree of danger, which is part of the attraction: mobile phone networks cease to operate; the space is pitch black and slippery underfoot; and you quickly become highly disorientated. My single exploration of this kind happened in a storm drain beneath Brockwell Park in Brixton earlier this year. With a more experienced guide, I descended an iron ladder into a large sewer. Using headlamps, we walked several hundred yards and then explored a unknown smaller side drain, down which we walked, or rather stooped, until we forced open a manhole with the help of a passer-by on the street above. What was striking about the experience was how extreme it was: my other senses were so engaged that actually thinking about things and talking was very difficult and very demanding. In this, it was quite different again from other types of urban space from which we are physically shut out from. Indeed, the whole spatial experience was very far removed from anything above ground: with these apparently infinitely receding spaces, you can never tell where you are. Because the sewers are designed in a grid-like network, they are easily comprehensible on a map of the city, but not so underground. In fact, in these spaces, the very things that are supposed to contribute to being able to understand things are working against you, because you’re not supposed to be there. It’s something that’s inherent in the London sewers, in their design – they’re not designed for people to be there, because originally they were supposed to be self-cleansing and no walkways or other helpful features were incorporated into their design. In fact, this experience and the feelings associated with it relate more closely with imaginative uses of sewers in film and literature. 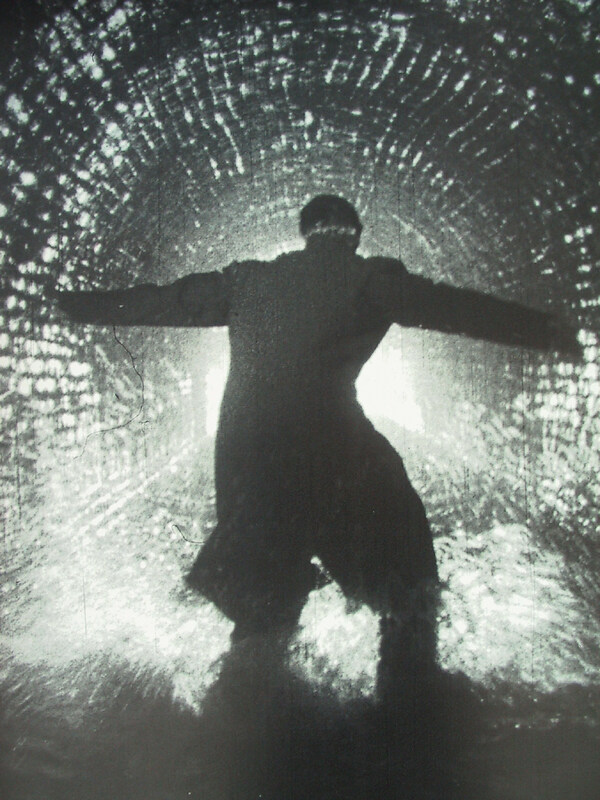 One of the first, and most famous, Carol Reed’s 1949 film The Third Man, explores human depths – unconscious motives, hidden political and personal treachery, and death – which are symbolised by, and return through, the ultra-rationalised spaces of the Vienna sewers just after the Second World War. In a different vein, the smell of London’s sewers summons up childhood memories for the female protagonist of Margaret Drabble’s 1980 novel The Middle Ground: stooping to take a sniff at a grating to one of Bazalgette’s sewers, she cannot resist this ‘powerful odour of London’ that invites her to ‘escape the prison of the present into the past, where dark spirits swam in the fast-moving flood’. Things that bubble up from the unconscious might be altogether more unpleasant and, in the world of film, sewers have provided popular locations for nightmarish monsters: from giant ants in the storm drains of Los Angeles in the cold-war thriller Them! 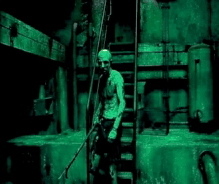 (1954); mutant alligators in the sewers of New York in Alligator (1980); to more recent incarnations such as human-like cockroaches in Guillermo Del Toro’s 1997 film Mimic. 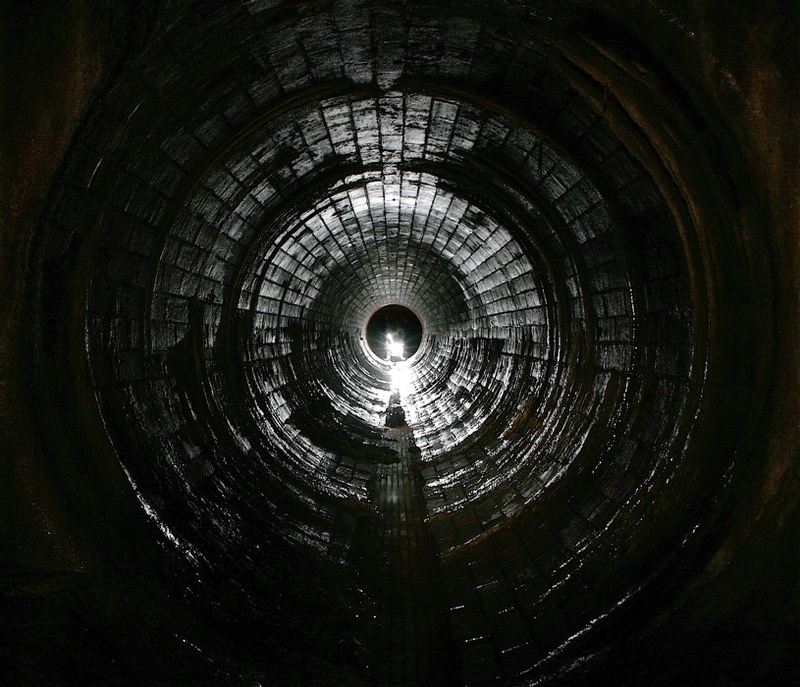 Throughout the post-War period the imaginative connotations of London’s sewers have tended to be displaced by those of other cities, in particular New York; yet recently they have resurfaced in both literature and film. In the final moments of Peter Carey’s 1997 novel Jack Maggs the eponymous hero witnesses the construction of the city’s Victorian sewers. Here, the ‘vertiginous unease’ induced by the sight of a deep trench being dug in the street mirrored the general anxiety Jack Magg’s felt about his own life and summoned up an apocalyptic vision of his own demise. Likewise Clare Clark’s 2005 novel The Great Stink sets most of its narrative in the London sewers, exploiting their dark associations to mirror the repressed yearnings of her central character, which are played out in the hidden spaces of the sewers before dramatically entering the life of the world above. More visceral still is the brutally feral monster inhabiting a self-made netherworld in Christopher Smith’s 2004 film Creep, who returns from the sewers through the tunnels of the Underground to enact vicious killings at night. Although crass and exploitative, the horrors in Creep seem to prefigure the much more tangible unease now associated with the city’s substructure since 7 July 2005. Engineers of the past and present might build sewers as rational spaces that bring wastes to order, but it seems they will always be open to other subversive interpretations and uses; clearly we are still fearful of what terrors might return to confront us from the darkness of the world below.